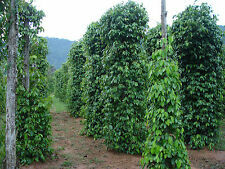 Piper nigrum blooms freely through the summer months and fruits ripening the following year. Black peppercorns are harvested when the seeds are nearly ripe and then dried at room temperature. 100 seeds in package. Shipping and Handling Discount - Regular shipping price for first purchase of seeds, additional $1.00 for each seed purchase there after. 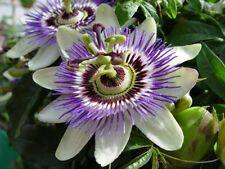 Passion Flower - Purple. 1 lb. Of seeds in package. This shrubby house plant grows to five feet high when grown indoors. Grow your own coffee beans at home! Fast. Simple. Height 3 - 5 feet. 150+ Saltwort Seed - Salsola Komarovii-Organic-NON GMO- Open Pollinated. There is no need to thin, as saltwort continues to grow even when sown thickly. Leaves are long and succulent with an appealing crunchy texture and are a rich source of vitamin A as well as K and they provide abundant sources of calcium, potassium, and iron. VERNO HEIRLOOM SEEDS. Seed to Bloom: 12 weeks. for all your garden seed needs! You can view our. 99 cent 139 variety vegetable seed. And our. 99 cent pepper seed. OF SEEDS WITH EACH ORDER. And our. 99 cent herb seed here. The Pinto Premium Series geranium seeds are perfect for 6” pots and containers. This Pinto Premium Series geranium is easy to grow from seed. 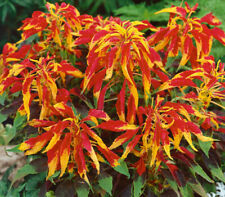 and known to thrive in a variety of poor soils and gardens prone to heat and drought. Fulvic acid has been used by Hydroponics’ Growers and professional growers in Victoria, Qld and NSW. Fulvic Acid eliminates root rot diseases under certain conditions and stimulates roots unlike any other known product. They are complex molecules that exist naturally in soils, peats, oceans and fresh waters. As a comparison, Peat is derived from only a few thousand years of decomposed organic matter. Plant Dr Humic will help you grow plants like never before. PETUNIA PURPLE WAVE. VERNO HEIRLOOM SEEDS. OF SEEDS WITH EACH ORDER. for all your garden seed needs! You can view our. 99 cent 139 variety vegetable seed. And our. 99 cent pepper seed. And our. 99 cent herb seed here. 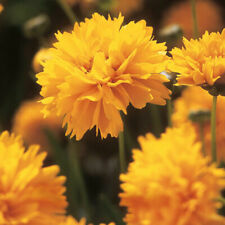 China Aster. This wonderful China Aster flower seed produces double flowers atop two-foot high stems. Powder Puff Aster is one of the most popular cut flowers available from flower seed. Aster flowers are excellent for tall borders or beds. One size fits most OEM headrests. EARLY SUNRISE. You can view our. 99 cent 139 variety vegetable seed. VERNO HEIRLOOM SEEDS. Seed to Bloom: 12 weeks. for all your garden seed needs! OF SEEDS WITH EACH ORDER. And our. 99 cent pepper seed. Made of poly resin handpainted with excellent detail. Kubota blade belt fits the following deck models This is the belt that goes around all the blade pulleys. 60 x Hanging Tea Light Holder - Clear Glass - Tear Drop / Pear Shape as per photo's. Candlelight ball. Whimsical spheres of handblown glass showcase flickering candlelight via modern portholes. • Use the top loop to hang. 8cm wide, 8cm length, 8cm high. Candlelight ball. Whimsical spheres of handblown glass showcase flickering candlelight via modern portholes. 100 x Hanging Tea Light Holder - Clear Glass. • Use the top loop to hang. The perfect surface to work on with your leather projects! UPC: 098834341406. Master Card. International Standard. Barn Scene and tractor Made of poly resin hand painted with excellent detail. There may be a little shelf wear on box. During dry periods, pour water frequently into each of the shafts. Watering by spray sprinkler and through normal rains will result in water entering the shafts and being held which will reduce evaporation and loss of water. Korean Fashionable Rose Pattern Blanket. Korean Sensitivity. If you would like to buy other Korean products from South Korea. Korean Fashionable Brown Flower Pattern Blanket. Korean Sensitivity. If you would like to buy other Korean products from South Korea. Korean Clothes Hanbok For Baby. Korean Sensitivity. If you would like to buy other Korean products from South Korea. For Baby. Check the Images for detail Informations. Rare 4" injection molded squarebioplastic plant containers containingpoultry feathers. These strong, durable containers contain 30% poultry feather content and 70% recycled plastic. Great market appeal. OEM KUBOTA DECK BELT K5647-34710 RCK60P-21Z RCK60P-331Z RCK60P-227Z RCK60P-28Z. One size fits most OEM headrests. Inside covers mint condition sealed. 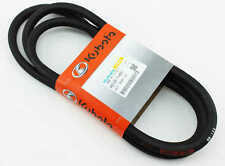 Kubota blade belt fits the following deck models: RC48-G This is the belt that goes around all the blade pulleys. If you are unsure of your application please email your deck model and serial number. .
Kubota blade belt fits the following deck models: B3548 RCR48 This is the belt that goes around all the blade pulleys. WIND TWIRLERS. WATCH IT SPIN AND SPIN AS THE WIND BLOWS. A GREAT ADDITION TO ANY PORCH OR GARDEN. HANG ONE FROM YOUR PORCH. ALSO FUN TO HANG IN KIDS ROOMS. LOOKS GREAT IN THE GARDEN. Fits the following Kubota Models Fan Belt 37.6 Cogged. We begin processing your order as soon as you place it. For this reason, orders cannot be changed or canceled once they are placed. Local Pick Up.